Turn on the news, and you're bound to hear stories about the fires in the West followed by additional footage of heavy snowfall in the East. Some are dealing with flooding while others are dealing with drought. We have quite the range of weather occurring in November from one coast to the other. 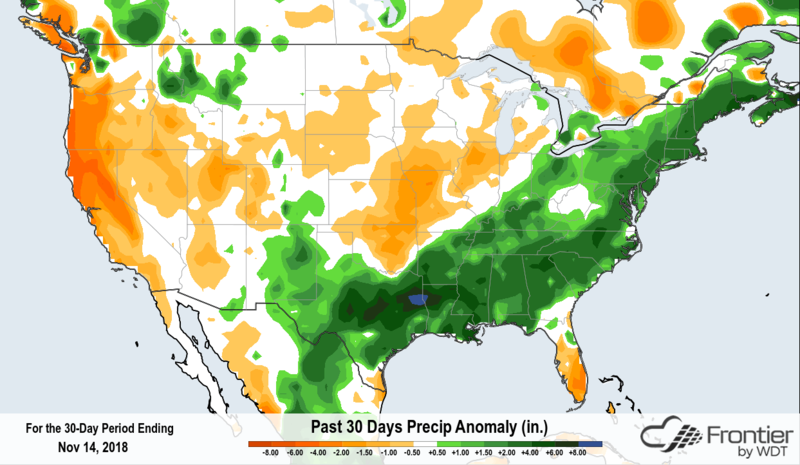 The West Coast has been experiencing drier than normal weather, as shown in the Frontier precipitation anomaly map above. November is an extraordinarily harsh month for many in California. 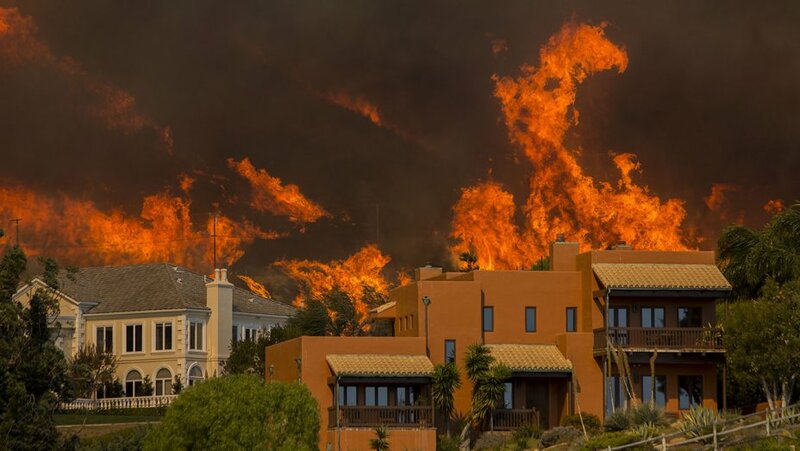 Over 12,000 structures have burned by flames that spread quickly due to Santa Ana and Diablo winds. There are a total of 66 confirmed fatalities and over 600 people missing. The Camp Fire is responsible for 63 of the deaths and all of the missing, many of which were elderly. Fires continue to rage in California. 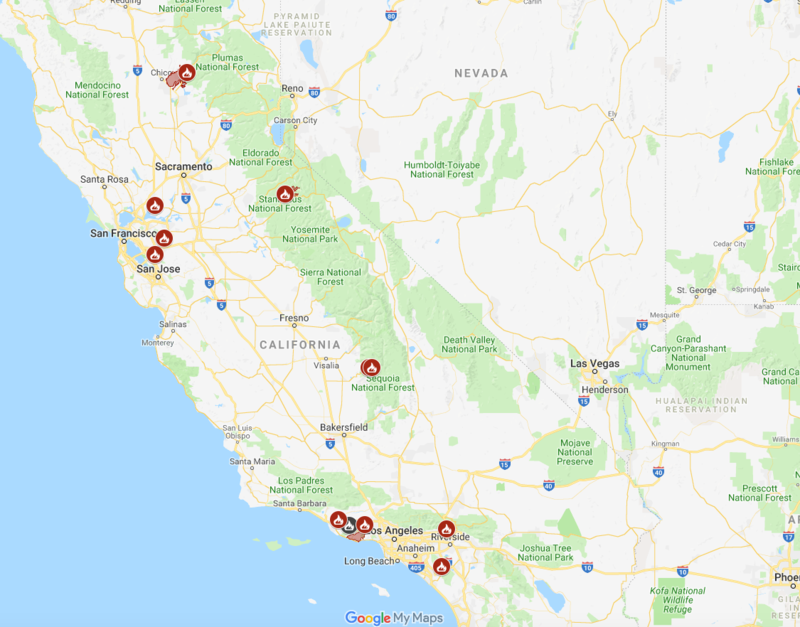 The Camp Fire is now 45% contained after burning over 140,000 acres. Near Malibu, the Woolsey Fire is 69% contained and has burned more than 98,000 acres. Numerous other small fires can be found across the state, including in the Sequoia and Stanislaus National Forests. Head to the East Coast, and they have the opposite issue. A winter storm has affected states in this region. A few days ago, WeatherOps produced the following forecast. Both ice and snow were expected to create issues for commuters and power lines. Areas in Virginia experienced heavy ice on Thursday morning. 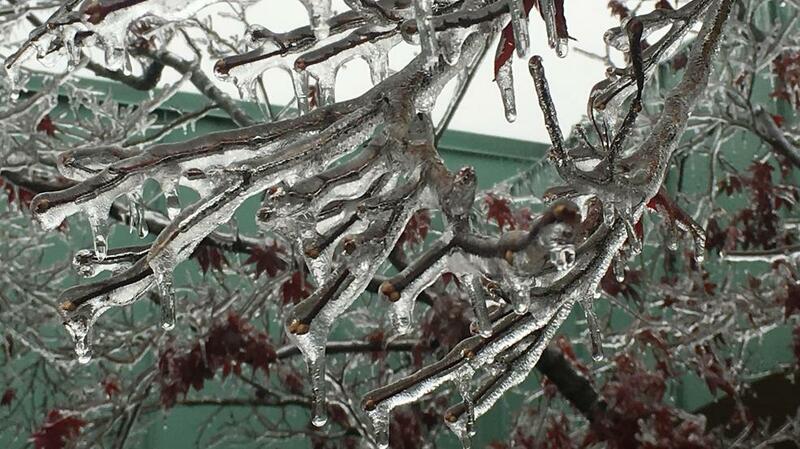 They weren't the only ones; the greater Cincinnati area was affected by this ice storm. 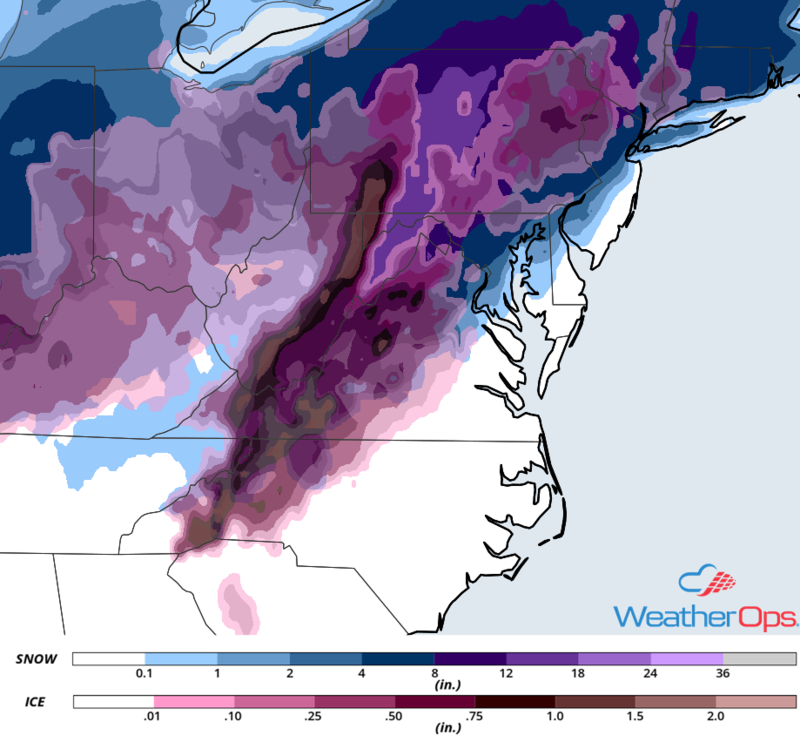 Ice of this magnitude can easily bring tree branches to the ground and weighs heavily on power lines. Driving becomes near impossible. Further to the northeast, snow fell disrupting evening commutes, canceling flights, and stranding many students at their schools. Traffic was gridlocked in New York City and Washington D.C. due to a few inches of snow. Eight fatalities occurred due to car accidents. Extensive power outages can be found within the Mid-Atlantic states. 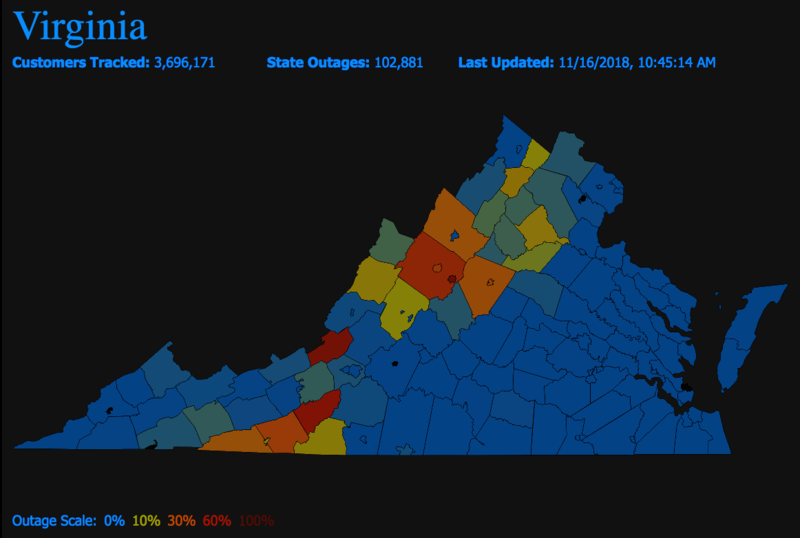 Virginia has the largest total of customers experiencing an outage. In heavily wooded areas, some customers can expect to be without power for multiple days as crews work to repair transmission lines. 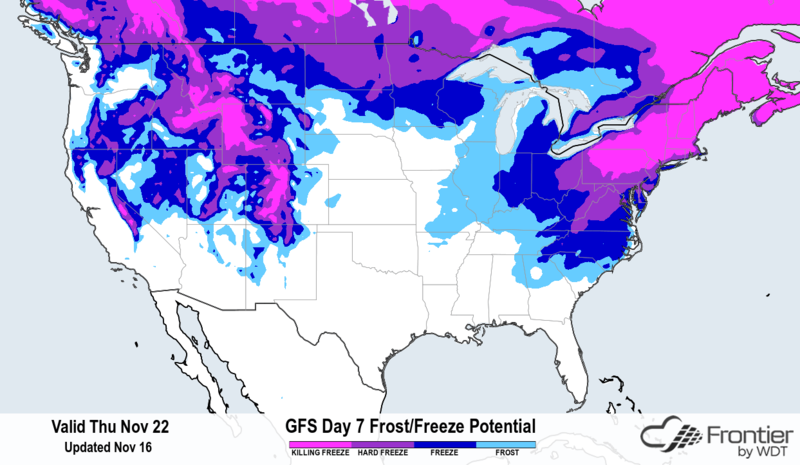 Winter weather is just getting started for most of the country. As Thanksgiving approaches, keep a close eye on the weather. If you are driving or flying to visit family, be aware that conditions can change rapidly. Temperatures will be cold across the northeast, northern states, and mountainous locations. From fire to ice, our country is experiencing a broad range of weather conditions this month. If you're tired of the wet, cold weather, think of all those in the West who wish they had your problems.